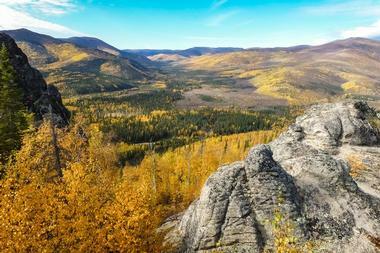 At less than 200 miles from the Arctic Circle, the Fairbanks region offers the best of Alaska’s tourist attractions and natural wonders. The city is home to the expansive University of Alaska Fairbanks campus, which houses a variety of museums and cultural attractions. Several state parks in the region allow for wilderness experiences and year-round outdoor fun, while unique cultural attractions offer a plethora of family-friendly activities. Fountainhead Antique Auto Museum is part of the 105-acre Wedgewood Resort, which also houses a 75-acre wildlife sanctuary and a 2,000-acre waterfowl refuge. 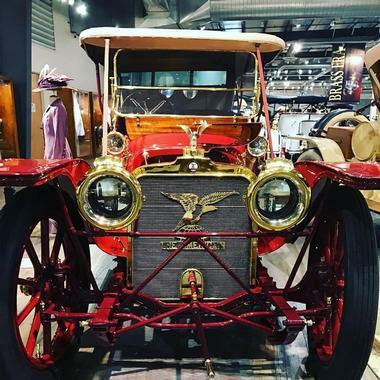 The museum documents the history of automobile technology and transportation throughout the state, showcasing more than 80 historic cars, including the last remaining 1920 Argonne and the 1905 Sheldon Roundabout, the first car built in the state. Multimedia exhibits bring the state’s formative years to life, documenting the use of automobiles in sculpting Alaska’s modern landscape, including the construction of the Valdez-Fairbanks Trail and the Richardson Highway. A vintage clothing exhibit also highlights flapper dresses and high society attire of the early 20th century. Running Reindeer Ranch offers one-of-a-kind tours on a private Fairbanks ranch, showcasing family-owned reindeer. The ranch’s immersive experiences were the 2013 recipient of the Jim and Mary Binkley Award and have been featured in international programming and publications such as The Washington Post, Condé Nast Traveller, and The Travel Channel. 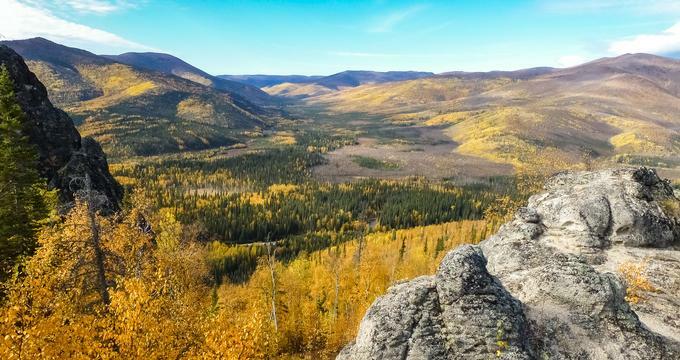 Reindeer-led tours showcase a beautiful boreal forest, with tour guides providing information on the region’s natural history and the animals’ lives. Seasonal tours also highlight the region’s aurora borealis and the ranch’s organic vegetable and perennial gardens. Light refreshments are served for all guests on the reservation-only tour. Morris Thompson Cultural and Visitors Center was opened in 2009 and was the result of a decade of planning by the Fairbanks Convention and Visitors Bureau, the Alaska Public Lands Information Center, and the Tanana Chiefs Conference. The center, which honors civic leader Morris Thompson, serves as a visitor center for the interior Alaska region and showcases a variety of interactive exhibits and cultural programming related to the region’s social history, with a particular focus on its indigenous communities. Regular cultural programming presented at the center includes daily documentary showings and performances and demonstrations by local Athabascan artists. The center also serves as the headquarters for a number of regional organizations, including the Denakkanaaga Alaska Native Elders’ Organization, the Alaska Geographic Store, and the Tanana Chiefs Cultural Program. McKinley Explorer is part of Alaska’s largest dome railcar fleet, operated by Princess Cruises and Holland American Line. 10 McKinley Explorer cars carry a total of 88 passengers aboard the train’s upper level dome sections, which offer spectacular 360-degree wilderness views from rooftop dome windows and amenities such as footrests and fold-down tray tables. 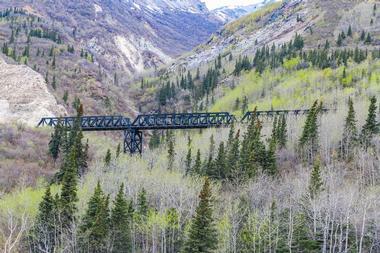 Tour guides offer commentary on the scenery between Anchorage and Denali National Park, a complete trip of approximately eight hours, though intermediate stops are available for shorter journeys. A restaurant and outdoor viewing platform are offered on the train’s lower level, and bar service is available on the upper level. 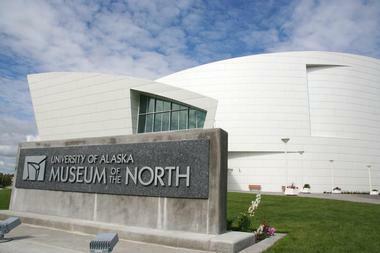 University of Alaska Museum of the North is one of Fairbanks’ premiere museums, showcasing a variety of exhibits related to the state’s notable people and places. The recently-renovated museum is designed to evoke the landscape of Alaska, with design elements subtly mimicking the state’s alpine mountains, glaciers, and rivers. Its centerpiece exhibit is its Rose Berry Alaska Art Gallery, which features a collection of works by Alaskan artists across history, from ancient indigenous carvings to contemporary art pieces by both Native and non-Native luminaries. The state’s cultural history is chronicled within the exhibits of the Gallery of Alaska, while its geologic landscape is recreated in The Place Where You Go To Listen, an interactive exhibit that changes based on natural statistics such as the state’s aurora and seismic activity. 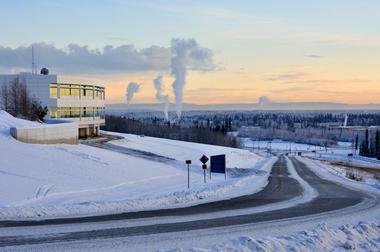 University of Alaska Fairbanks is a public research university that serves as the flagship campus of the University of Alaska System. The 2,250-acre campus offers a variety of activities and facilities for students, community members, and visitors alike, including two lakes and several miles of walking and biking trails. Basketball, volleyball, tennis, and swimming facilities are available for use, along with a fitness center, an ice arena, a climbing wall, and dance, gymnastics, martial arts, and aerobics courses and equipment. The university’s Museum of the North showcases a variety of cultural and natural history exhibits, while its Rasmuson Library is the state’s largest public research library. 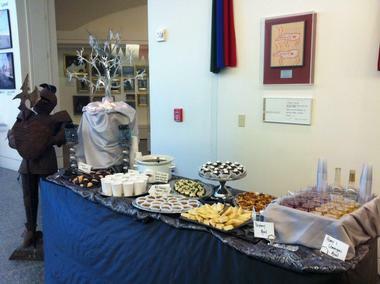 Regular music and theater performances are held at the Salisbury Theatre and the Davis Concert Hall, and community programming is offered at the Wood Center, which also features a pub and a bowling alley. 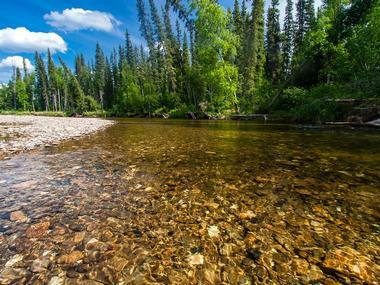 Chena River State Recreation Area is a 397-square-mile recreation area following the path of the Chena River, offering year-round adventures for visitors looking to experience Alaska’s great outdoors. The recreation area attracts more than 150,000 annual visitors and is home to abundant wildlife, including black and grizzly bears, moose, and beavers. Catch-and-release fishing is permitted along the river and within three ponds, while hiking and rock climbing are offered at Granite Tors. 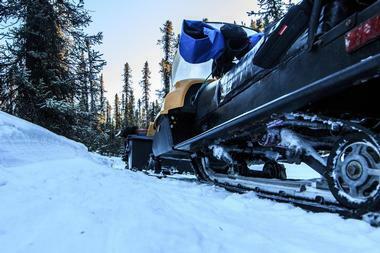 Dog sledding, skiing, and snow machining are popular winter activities, with a number of winter trails available for visitor access. Overnight accommodations are available at the Rosehip, Tors Trail, and Red Squirrel Campground areas, which offer RV hookups and picnic areas. 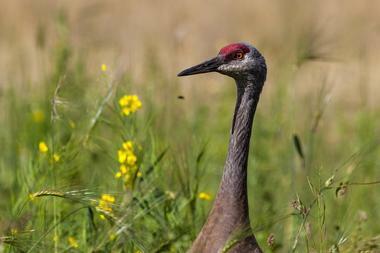 Creamer's Field Migratory Waterfowl Refuge stands on the grounds of a turn-of-the-century dairy farm that operated until 1966 as the Alaskan Interior’s most successful dairy. Following its closing, the site was turned into a wildlife refuge, with its former buildings listed on the National Register of Historic Places. Today, the site serves as an important refuge for waterfowl and migratory birds and offers opportunities for wildlife watching and recreation. Historic exhibits are showcased at the Farmhouse Visitor Center, which serves as a trailhead for naturalist-led walks throughout the summer season. Several nature trails are also offered, including the Boreal Forest Trail, the Farm Road Trail, and the interpretive Seasonal Wetland Trail. Alyeska Pipeline Visitor Center lets visitors get an up-close glimpse of the Trans-Alaska Pipeline System, one of the region’s great engineering marvels. The pipeline was constructed between 1974 and 1977 by more than 70,000 workers at a cost of $8 billion. 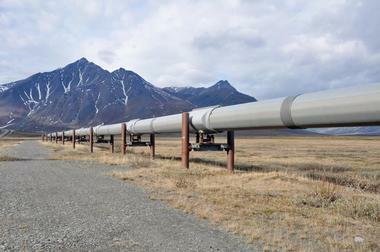 Today, the pipeline spans 800 miles of the Alaskan wilderness and is privately owned and operated by the Alyeska Pipeline Service Company. Informational exhibits on the pipeline’s construction and operation are offered at the free admission visitor center, along with a display pig cleaning and inspection device. Outside the center, visitors can view a portion of the pipeline for themselves. 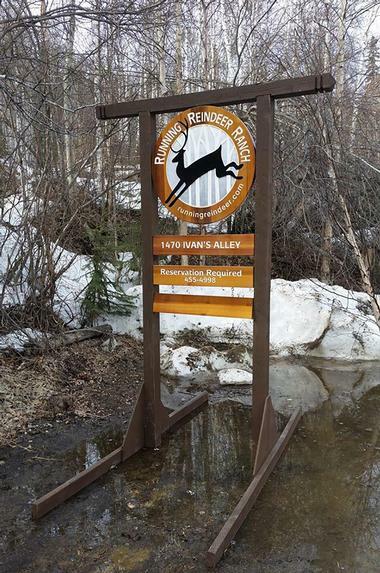 Angel Rocks Trail is located within the 397-mile Chena River State Recreation Area and extends along an 8.3-mile roundtrip loop that ends at the popular Chena Hot Springs Resort. The trail is accessible via the riverside picnic stop at milepost 48.9 along Chena Hot Springs Road, which traverses the length of the recreation area. Hikers are led along a gorgeous expanse of dense evergreen forest that provides access to the scenic cliffs of Angel Rocks, a series of unique geologic formations that were created by the uplift and erosion of molten rock that reach a height of 1,750 feet. From there, the trail continues to the resort, which is located at milepost 56, offering stunning views of the Alaska Range, Chena Dome, and Bear Paw Butte along the way. Visitors should allow five to eight hours to complete the hike in each direction. 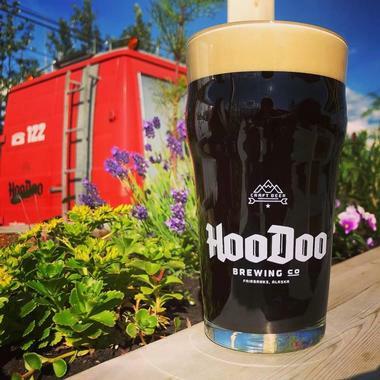 HooDoo Brewing Company was the vision of Fairbanks resident Bobby Wilken, who began homebrewing while studying for his business degree. The brewery, which opened to the public in 2011, focuses on classic European and American brewing styles, emphasizing taste and craft without the frills. All beers are titled after their styles, without clever names or labels, and are produced with the highest quality ingredients possible. Popular styles include the brewery’s German Kölsch, American IPA, Belgian Saison, and Citra Pale Ale. Seasonal releases and one-off brews are also offered on a rotating basis. The brewery’s tap room is open Tuesdays through Sundays, selling to-go cans and growler fills, and offers brewery tours on Saturday afternoons. 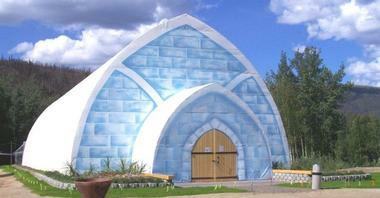 The Aurora Ice Museum is located approximately one hour from Fairbanks within the Chena Hot Springs Resort and is the world’s largest year-round ice sculpture display. All sculptures at the museum were created by champion ice carvers Heather and Steve Brice, the winners of 23 World Ice Art Championships. The museum is temperature-controlled at 25 degrees Fahrenheit and showcases unique sculptures such as a two-story observation tower, a Christmas tree, and fort-style children’s bedrooms. Unique colored ice chandeliers meant to mimic the region’s aurora borealis hang over the Aurora Ice Bar, which serves custom appletinis to visitors over 21. Tours of the museum are offered daily, with complimentary parkas available for all tour participants. The Palace Theater is recognized by the Alaska Visitor’s Association as one of Fairbanks’ top attractions, offering nightly performances of its Golden Heart Revue at its location in the historic Pioneer Park. The theater is operated by the owners of the Alaska Salmon Bake, Fairbanks’ oldest family-owned restaurant, which serves an all-you-can-eat buffet of traditional Alaskan recipes passed down through generations of a local family. The Golden Heart Revue was written by Fairbanks composer Jim Bell, along with book writers William Arnold, Timothy Ames, Steve Arthur, and Richard Ussery. Named after the city’s nickname, “The Golden Heart City,” the charming musical revue explores the social and cultural history of the region, incorporating humorous elements to keep visitors laughing and smiling as they learn about life on the last frontier. Pioneer Park was originally constructed for the Alaska ‘67 Centennial Exposition to commemorate the hundred-year anniversary of the state’s purchase from Russia. Early attractions at the park included a zoo and a midway with amusement rides, known as Bonanzaland. Since the park’s name change in 2001, it has showcased 15 family-friendly educational and community attractions. Four museums are housed within the park, including Pioneer Hall, the Tanana Valley Railroad Museum, the Pioneer Air Museum, and the Alaska Centennial Center for the Arts. 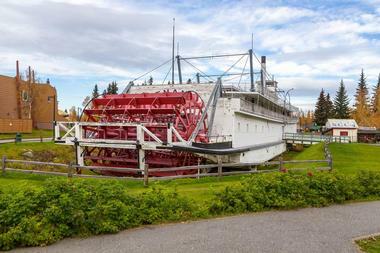 Several historic artifacts are also preserved at the park, including the famous Harding Car, the “Queen of the Yukon” Riverboat Nenana sternwheeler, and a number of pieces of authentic mining equipment preserved at Mining Valley. 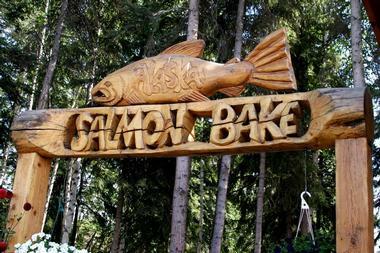 The Alaska Salmon Bake and the Palace Theater offer dining and performance experiences, while the Gazebo Nights concert series brings outdoor music to the park during the summer months. Children’s attractions include the Pioneer Park Playground, Red and Roela’s Carousel, and Mini Golf Fairbanks, the furthest-north miniature golf course in North America. 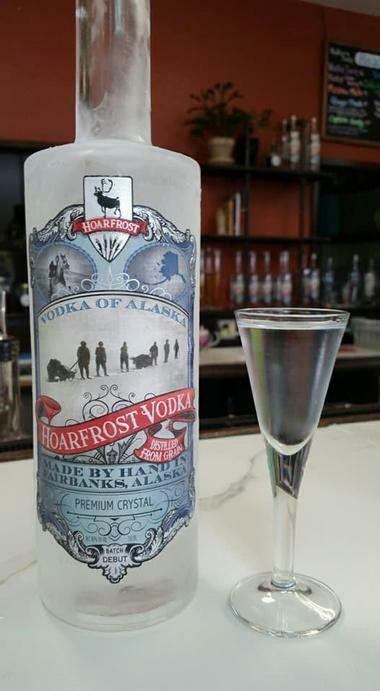 Hoarfrost Distilling is a family-owned distillery operated by Toivo Luick, serving vodka crafted from Alaskan barley and produced entirely in house. Two varieties of vodka are bottled by the distillery, including the standard Crystal, which was awarded the 2018 New York International Spirits Competition silver medal. The distillery’s Brilliant sipping vodka also offers unparalleled smoothness at a higher filter rate. A tasting room is open Mondays through Saturdays and showcases the works of local Alaskan artists on a rotating schedule. Standard and signature vodka cocktails are served, including martinis, black Russians, and bloody marys. Tours are available by request, depending on availability, by contacting the distillery directly. 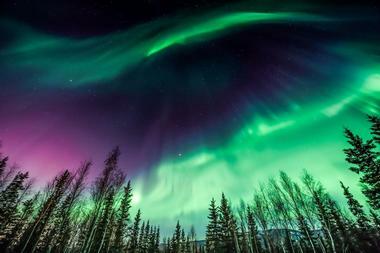 The Aurora Chasers offer Alaska’s most comprehensive northern lights photography tours, operated by husband-and-wife photography team Ronn and Marketa Murray. The unique tours, which have been featured on CBS Sunday Morning, offer personalized photography instruction from the tour guide team and opportunities to see the region’s internationally-renowned aurora borealis. Standard Aurora Chasers Tours are offered in September, October, February, and March and include hotel pickups, complimentary hot beverages, and aurora portraits for your tour group. Private charters offer a customized experience for groups, while Beyond the Ordinary Tours add photography workshops and education on the science behind the northern lights. Black Spruce Dog Sledding is Alaska’s top dog sledding tour experience, offering private sledding tours since 2013. 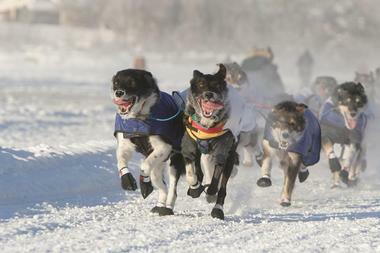 The company, which is owned by husband and wife Jeff and KattiJo Deeter, brings the pair’s experience running in the famed Iditarod race to tour participants, who have a chance to interact directly with Alaskan racing Huskies on the pair’s competitive team. A number of seasonal tours are offered, including a Sled Dog Safar available between May and November that teaches dog harnessing and showcases rides within a summer buggy. Husky Hiking expeditions are also available during the summer months, featuring off-leash nature walks led by the company’s dogs. During the winter months, scenic day mushing excursions are offered, letting participants try their hand at driving dog sleds. Rod's Alaskan Guide Service is led by registered guide Rodney Pangborn, who grew up in New York and fell in love with the Alaskan wilderness after serving in the United States Air Force. Year-round fishing, hunting, and snowmobilling tours are offered through the service, allowing guests to experience the best nature excursions that the Alaskan Interior has to offer. Moose camp and hunting excursions travel to prime hunting areas along custom-designed hunting rafts and typically last three days, with tents and meals provided. Grizzly bear hunting excursions are also offered in the spring and fall months, featuring a one-to-one hunter-guide ratio. Summer fishing excursions explore little-known fishing spots, while winter ice fishing and snowmobile tours offer chances to see the Interior’s snow-covered beauty. 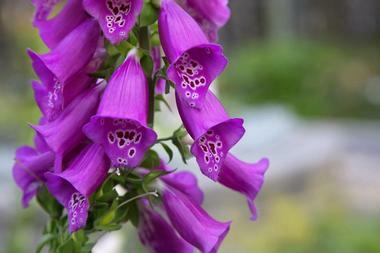 Georgeson Botanical Garden is a five-acre public garden that is part of the University of Fairbanks campus. Though the garden’s roots trace back to agricultural experiment stations in the early 20th century meant to see what crops would grow best in the Alaskan wilderness, the garden was officially opened by the university in 1989 as a research facility and public outreach program, named for USDA Special Agent Charles Christian Georgeson. Today, the garden is open to the public from dawn to dusk between May and September and is incorporated as part of the Alaska Agricultural and Forestry Experiment Station. Research programs at the garden emphasize domestication and exportation of plants, flowers, and fruits and vegetables, while educational programming teaches visitors about subarctic horticulture. A children’s garden and hedge maze are also offered on site. Antler Arch is located on the grounds of the Morris Thompson Cultural and Visitors Center, which serves as the Fairbanks region’s main visitor center and showcases a variety of exhibits and cultural programming related to the state’s Native and non-Native groups. 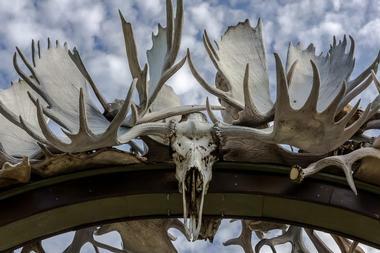 The Antler Arch was created by local artist Sandy Jamieson, constructed using antlers from more than 100 caribou and moose specimens that were collected throughout Interior Alaska. The arch is intended to symbolize the hunting stories of the state’s diverse groups and emphasize the shared humanity between them. It is monitored 24/7 by a live webcam feed, which is accessible via the Cultural and Visitors Center website. Large Animal Research Station is one of the University of Alaska Fairbanks’ hidden gems, located on the site of a former Yankovich homestead at the border of the university’s campus. 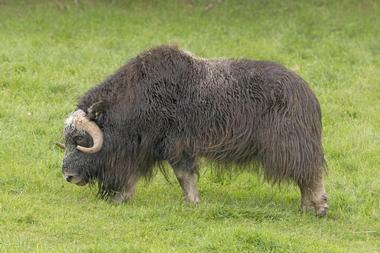 The year-round station serves as a viewing and stopping point for reindeer and muskoxen, and its colony of muskoxen are monitored for behavioral and physiological research. Guided walking tours of the facility are available for visitors between May and September, led by knowledgeable tour guides who elaborate on the farm’s history and the animal colonies. Field trips, behind-the-scenes tours, and private special events may also be scheduled for small groups and organizations by contacting the station directly. Pump House Restaurant and Saloon is housed within a reconstructed Gold Rush-era saloon, decorated to evoke the character of turn-of-the-century Alaska through antique decor pieces such as an 1898 Brunswick Union League pool table. The restaurant serves traditional and contemporary Alaskan cuisine using fresh, locally-sourced ingredients such as Alaskan salmon. Dishes highlight unique Alaskan game such as red deer, elk, and reindeer and include options such as reindeer sausage, elk meatloaf, and the restaurant’s world-famous seafood chowder. The Senator Saloon features the “World’s Most Northern Oyster Bar,” serving half-shell, deep-fried, and oysters Rockefeller, along with one of the finest wine lists in the Pacific Northwest. 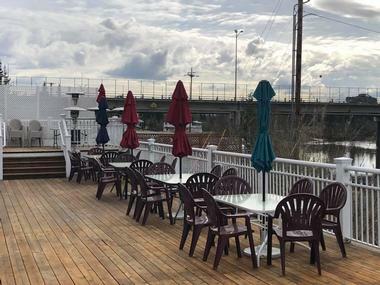 An outdoor deck offers views of the beautiful Chena River and the Riverboat Discovery. Lavelle's Bistro is located within the Fairbanks SpringHill Suites by Marriott, serving globally-inspired and contemporary American dishes. The restaurant was founded by Kathy Lavelle and Frank Eagle and serves made-to-order dishes highlighting Alaskan seafood, certified Angus beef, and locally-sourced ingredients. 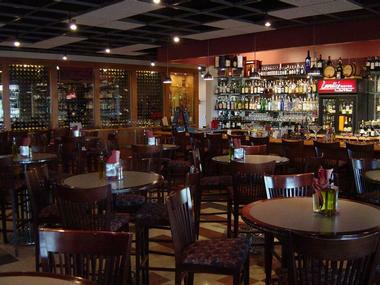 A 4,000-bottle wine list is available from the restaurant’s wine cellar, along with cocktails and drafts served from the bar. A patio is available during the summer months, and a bar area offers flat screen televisions broadcasting major sporting events. Live music from local musicians is presented on the weekends. Gluten-free menu options are available upon request. Chena's Alaskan Grill is located at the River’s Edge Resort, a four-star cottage hotel along the banks of the Chena River. The restaurant is helmed by executive chef Jameson Kapec and serves modern Alaskan cuisine with an international twist, striving to present one of Fairbanks’ finest dining experiences. Dishes highlight traditional Alaskan fare using locally-sourced ingredients produced by Alaskan Interior farmers to ensure the highest level of quality and freshness. Indoor and outdoor seating is available seasonally, and a wine cellar showcases the finest handcrafted wines from around the globe. For guests staying at the resort, a breakfast buffet is also available at the hotel’s main lodge.